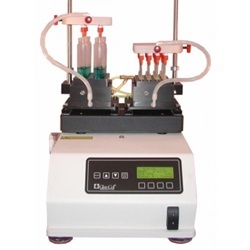 Glas-Col’s Digital Pulse Mixer with Evaporator/Concentrator: This larger system is designed to rapidly evaporate/concentrate solvents by both heating the sample bottom and the incoming nitrogen. Each position is furnished with an individual needle for the best possible delivery of gas. The pulsing feature that is selectable allows a film of solvent to be thrown on the sidewall; then the vortex collapses. 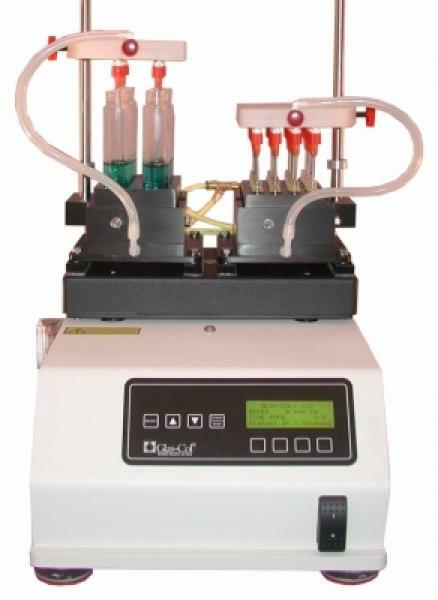 Next the vortex again is created and the process continues until the concentration level is achieved providing the quickest method of solvent evaporation. 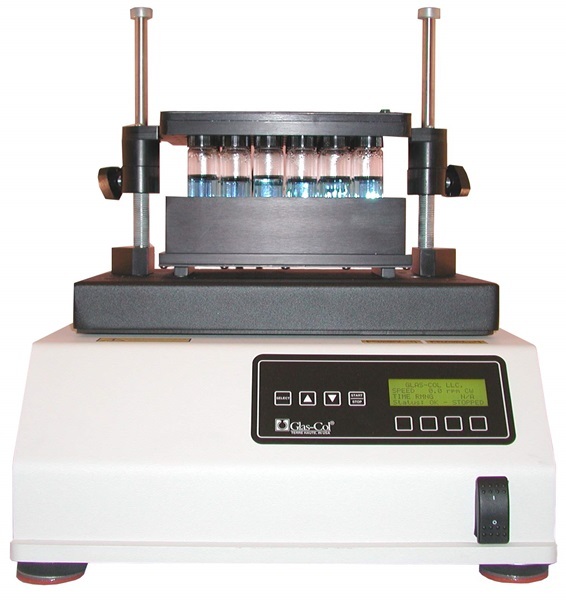 This unit takes up little bench space compared to other concentrators. Depends on Manifolds and Blocks ordered separately.